Last week the Nigerian army rescued more than 450 hostages held by Boko Haram. On Thursday, up to 160 were rescued following on from Tuesday when 200 girls and 93 women were freed in an offensive in the Sambisa forest by Nigerian troops and their allies against Boko Haram. It is still unclear if any of those rescued are from the group of 200 school girls taken a year ago from their school in Chibok and subject of a global ‘Bring Back our Girls’ campaign which has been supported by US first lady Michelle Obama. Elsewhere, the Nigerian army also found about twenty graves where hundreds of decomposing bodies had been buried, including those of women and children. This was in Damasak, Borno State city in the north east of Nigeria, which Boko Haram took over in the last year. The victims were killed during a retreat by men belonging to the Islamist sect. “Extremists continue to act because the military have not been able to hit all their strongholds, and I am not surprised that they have attacked new people”, said Mgr Oliver Dashe Doeme, Archbishop of Maiduguri, capital of Borno State, whose diocese has been particularly affected by the violence of Boko Haram. According to the latest data, 5,000 of 125,000 Catholics have been killed by extremists and 100,000 have fled, including 26 of the 46 diocesan priests, 30 religious women, and more than 200 catechists. Of the 40 parish centers, 22 are currently empty or occupied by Boko Haram, while 350 churches have been destroyed. Three of the four Catholic schools have been closed. Archbishop Doeme expressed hope that the advance of the military marks “the beginning of the end of Boko Haram,” Agenzia Fides reported. The rescued girls are being identified and given health checks and have begun to speak of how Boko Haram had forced them into marriage, slave labour and even used some as suicide bombers, sending them into crowded market places and elsewhere. Sometimes they have been forced to fight on the frontline alongside the rebels. Amnesty International has stated that rescue of women and girls by Nigeria’s military from Boko Haram is an encouraging development but only a small step in securing the safety of the thousands of women and girls abducted by the armed group since 2014. The organisation called on the authorities to ensure that the trauma of those ‘rescued’ is not exacerbated by lengthy security screening in detention. “This development is just cause for celebration and undoubtedly an immense relief to the women, girls and their families. But this is just the tip of the iceberg; there are thousands more women and girls, and men and boys who have been abducted by Boko Haram,” said Netsanet Belay, Africa Director, Research and Advocacy. According to a recent Amnesty International report, more than 2,000 women and girls have been abducted by Boko Haram. In previous cases where women and girls have escaped from Boko Haram they have been detained for weeks on end for security screening. 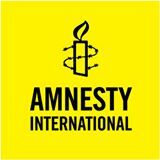 Amnesty International is calling on the authorities to ensure that their physical and psychological well-being is paramount. “The trauma suffered by the women and girls is truly horrific. Some have been repeatedly raped, sold into sexual slavery or indoctrinated and even forced to fight for Boko Haram,” said Netsanet Belay. 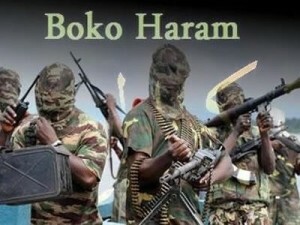 Boko Haram, which translates as “western education is forbidden”, wants to create an Islamic state and has pledged allegiance to the armed group calling itself the Islamic State based in the Middle East. Since 2009 it has launched a violent campaign against civilians in north east Nigeria.